El Pollo Loco debuts four new Fire-Grilled Chicken Burritos as their latest limited-time promotion. - Fajita Burrito - Chopped boneless fire-grilled chicken, fajita vegetables, sour cream, Jack cheese, black beans, Mexican rice and house-made poblano salsa, wrapped in a soft flour tortilla. 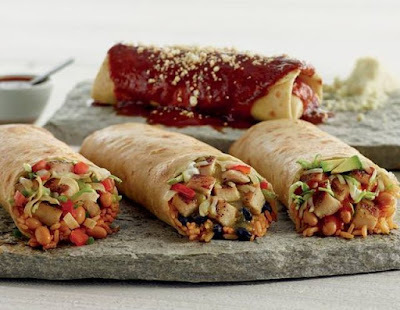 - Chipotle Avocado Burrito - Chopped fire-grilled chicken, sliced avocado, sour cream, house-made chipotle salsa, shredded cheese, simmered beans, rice and cabbage, wrapped in a flour tortilla. - Grilled Chicken Wet Burrito - Fire-grilled chicken, shredded Jack cheese, slow-simmered beans, Mexican rice, cabbage, house-made pico, and creamy cilantro dressing in a flour tortilla, smothered in enchilada sauce and topped with crumbled cotija cheese. - Crunch Burrito - Fire-grilled chicken, shredded Jack cheese, slow-simmered beans, Mexican rice, cabbage, house-made pico de gallo, creamy cilantro dressing, and crispy tortilla strips in a flour tortilla. 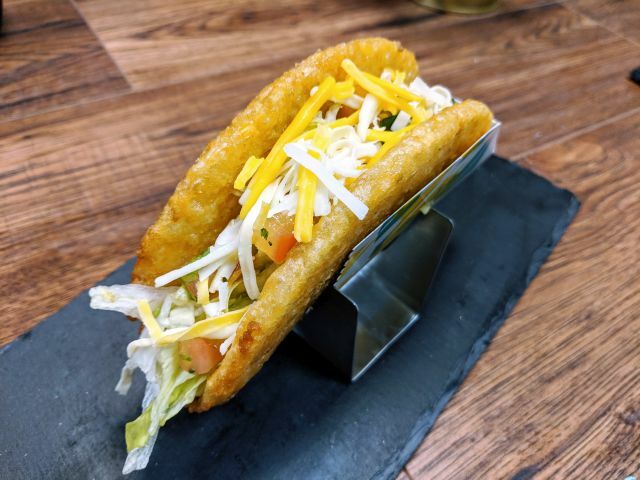 The Baja shrimp can be substituted for the chicken in any of the burritos.